Locke is a film about a man who tries to control his entire world from the seat of his car, as he rushes to a hospital, hoping to fulfill his moral responsibilities. Virtually the entire movie is shot from inside the vehicle. Other than a few extras initially walking by Locke’s car, the only other characters in the film are the disembodied voices of his wife, coworkers and lover. A man in a car, alone. How simple can it get? 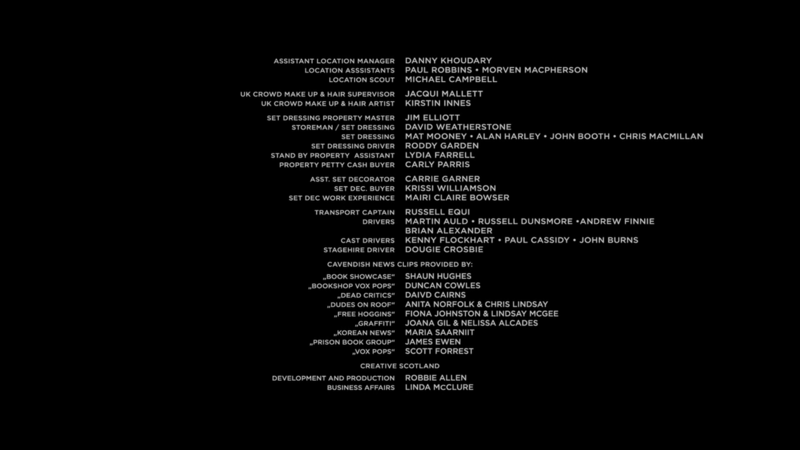 In fact, there are 176 names that appear in the credits. The director, writers, set designers, attorneys, musicians, financiers, make-up artists, costume designers, publicists, drivers, secretaries, cameramen, and even a nurse, are all indispensable and yet appear nowhere in the film. It may seem that salvation is simple. The story usually involves a few main characters, a long season of struggle, moments of sudden revelation and a miracle or two. A concerned Christian plants a few seeds, another waters them and, in the end, there is a brother or sister present to harvest the fruit. Each spiritual birth has a clear beginning, middle and end. If we are fortunate, we are sometimes the one who brings a sinner to Christ. More often, we are watering and planting seeds in the rocky soil. The patterns sometime vary a bit, but it really all seems like such a simple story, with a few central characters. In reality, the most amazing thing about salvation is its complexity. Our salvation begins long before the world began, and is well on its way when we are still within the womb. If we could see behind the scenes, without the fog of time and distance, I believe we would see God setting the stage for our salvation as He dealt with our parents and grandparents. From before the time of our birth, the LORD has prepared the world for our arrival. Scripture says that no man can come to Messiah unless the Father calls him. Throughout our lives, we hear the whispers and cries of God, as He moves through those around us, but His footsteps are mostly invisible. When I was twelve, the God of Israel told a motel clerk to pray for me every day until I was saved. She faithfully prayed for twelve years until she read about my salvation in a local newspaper. That secret act of God, the foolishness of a street preacher following me down the street, telling a 17 year old addict about the God who became a human being and the driver who stopped on Christmas night to pick up a hitchhiker stranded in a snow storm, proclaiming that The LORD had sent Him to me, all worked together to bring the Living God of Israel to one of His lost children. Yes, it was the Christian women who came to clean my dishes, the maids who asked God to help me as they washed my clothes and the believers who prayed for me as I ridiculed them, who paved the way for the Living God to enter my heart. It may seem to many believers that they have not been chosen to be an important part of God’s plan of salvation. The truth is, each one of us was created to play an essential role in the lives of others. Our prayers and acts of righteousness are the mechanism by which miracles happen in the lives of God’s people. Don’t ever forget it.